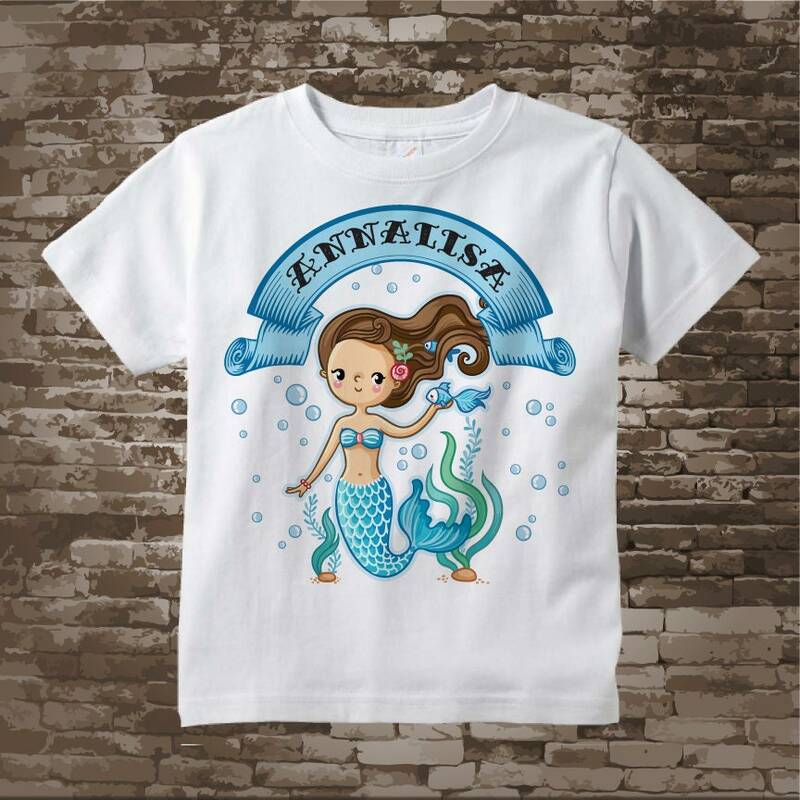 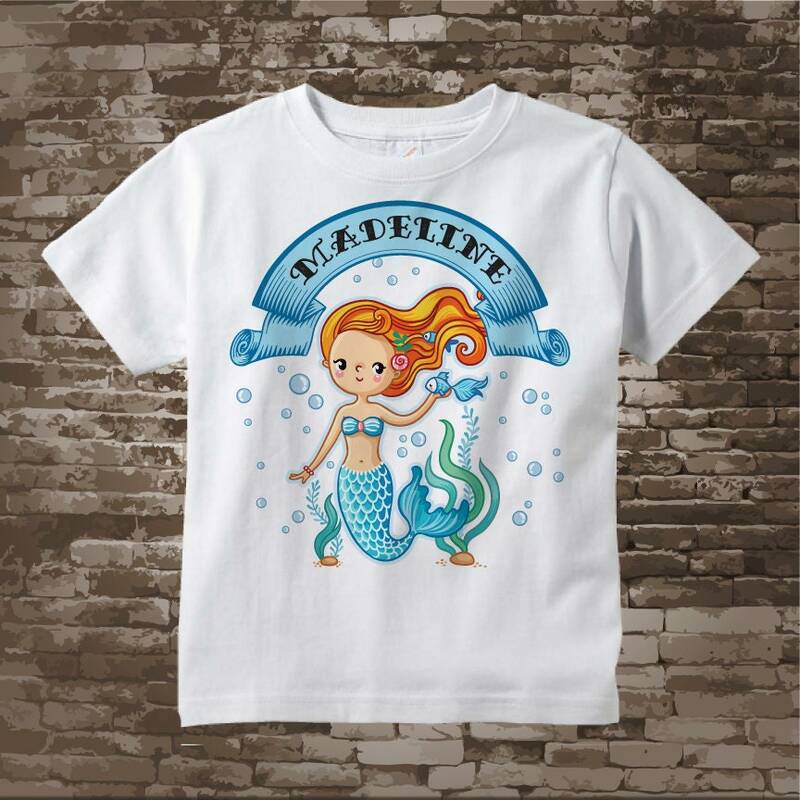 This cute mermaid design is perfect for your little girl. 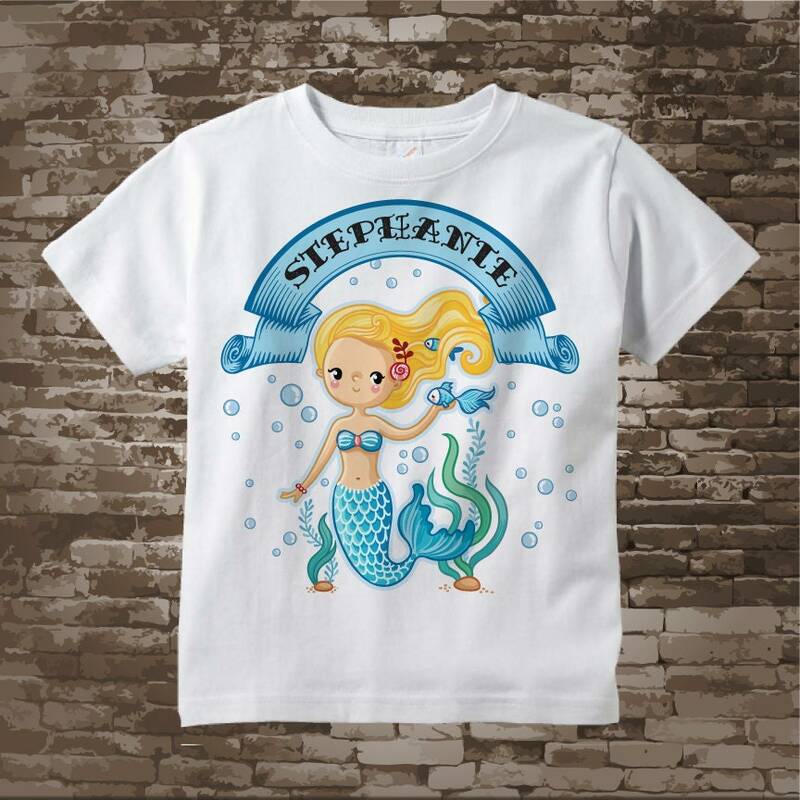 Choose from Blonde, Red head, Brunette or Black hair. 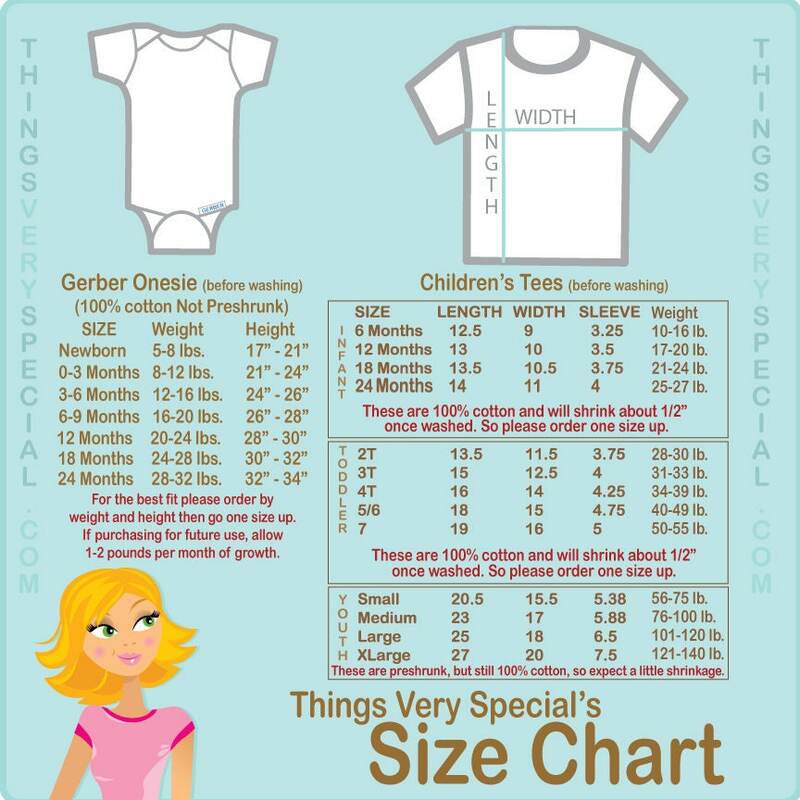 Name you would like, if no name please state no name.